I was born in the small town of Merredin and moved to Northam in 2003 where I attended St Josephs Primary and Secondary School and Graduated in Year 10. After graduation I went on to study Beauty Therapy in Perth and became a beauty therapist but returned to Northam to start my journey in real estate. 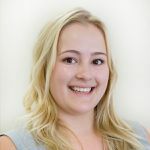 My real estate journey started in 2013 when I was given the opportunity to be the Receptionist at a real estate agency in Northam where I completed my Certificate in Property Management. In 2014 I was given the opportunity to join the team at Hollett and Lawrance as their Sales Supervisor.